Disclaimer: I was given products in this post for the purpose of review. I was not paid to write this post all opinions are my own. I am told I can be hard to shop for. Not by my mom and sister, but by my hubby, dad and brothers. According to them I am impossible to get gifts for. I don't understand why though! Get me a good book, candy, clothing or any kind of beauty product and I am good to go! I am also a fan of art, clock (yes I know weird obsession, but I LOVE clocks lol) steampunk decor and artisan soap. Show your body a little TLC after a cold winter day. This 1LB, single-use bag is a quick and easy way to rejuvenate your body and soothe tired, achy muscles. Made of pure, natural ingredients such as Epsom Salts and Herbal Oils, this soak delivers natural minerals and replenishes lost magnesium through the skin which is vital to the health of the human body. Detox and relax! Don’t let the winter air get to your hair! Add shine and manageability with a 2in1 formula that rinses clean and won’t build up. The shampoo collects dirt and oil from your locks while the conditioner forms a protective seal around the hair to provide strength, shine and protect against damage. 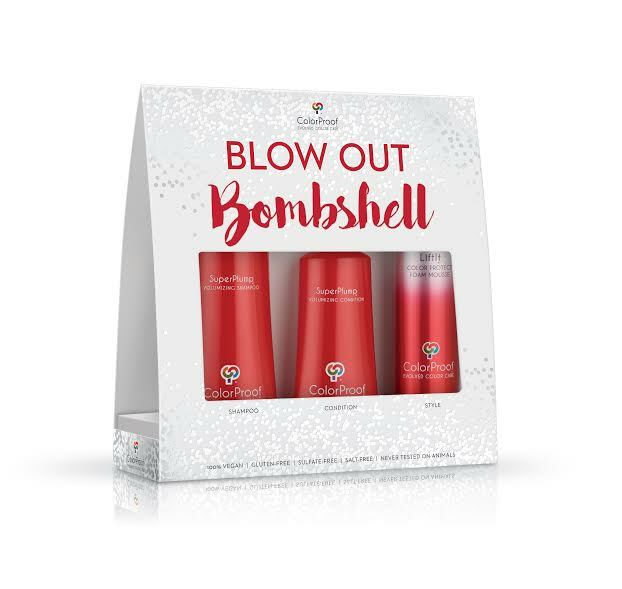 Your hair will look its best during the annual family photo this holiday season. This post-shower formula will make your hair manageable and provide shine. 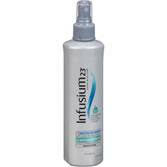 It reduces breakage and protects your ends. Style as usual after use – your hair will maintain its composure, regardless of the crazy winter weather! These sustainable source biodegradable cloths are infused with pure botanical cleansers that leave skin fresh, clean and free of residue. promotes a healthy, refreshed and toned complexion. Infused with rich minerals, they nourish and protect the skin against environmental damage. Spray over skin during the day to boost radiance or to calm sensitive and irritated skin conditions. With so many sizes to choose from, this iron is the perfect gift for everyone on your shopping list this year. 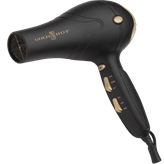 These irons have patented Pulse Technology for gets hot, stays hot performance – it senses heat loss and begins restoring it immediately for an even and smooth styling experience. 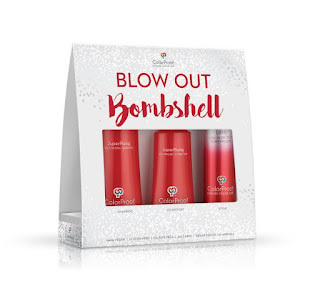 Create beautiful curls with a long-lasting hold for any holiday event you attend. Tourmaline conditioning emits negative ions heat to reduce static, frizz, and seal in moisture for a healthy look. 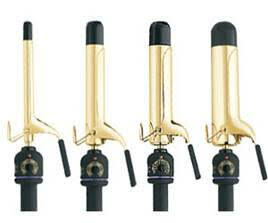 Pik attachment lifts, shapes and smoothes as you dry your hair and a cool shot button helps set your style with ease. Intensive FACIAL SERUM targets sun spots, fine lines and wrinkles by energizing skin and supporting collagen and elastin production for a smooth, even, more lifted complexion. Environmental aggressors such as UV rays and pollution create free radicals on the skin that cause premature signs of visible aging. Studies show that antioxidants can neutralize these damaging free radicals. Intense Defense balances vitamin C, white tea and lemon bioflavonoids to defend skin and support its natural renewal cycle. 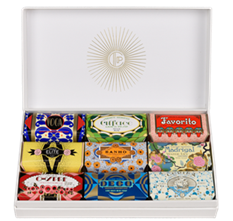 This beautiful Gift Box comes with 9 soaps from Claus Porto’s Deco collection, each with a unique fragrance and personality. They are hand-packed in illustrated wrapping adorned with original graphics from Claus Porto’s archives. Blended with shea butter, these colorful soaps draw on the dramatic designs that first made Claus Porto’s name in the early 20th Century.